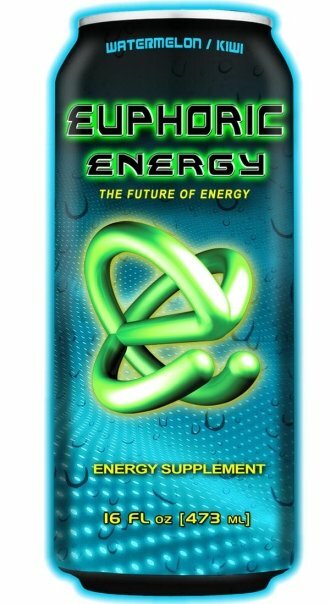 Euphoric Energy Drinks is the future of energy offering six diverse flavors also available in a sugar free version. 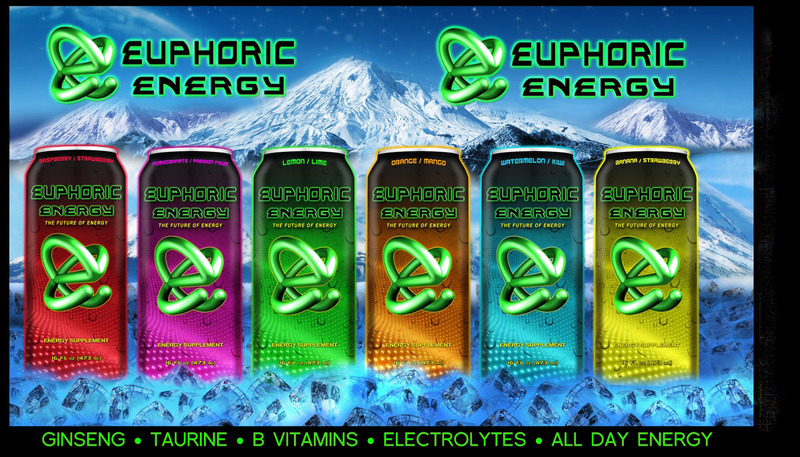 Euphoric Energy is excited to launch its new line of energy beverages with 6 new and delicious flavors we feel confident you will enjoy very much. Each of our new flavors are packed with vitamins, minerals, herbs and electrolytes that can help promote mental alertness and increased energy. By the way they all taste great. Our 6 Flagship flavors include: Banana/Strawberry Raspberry/Strawberry Watermelon/Kiwi Lemon/Lime Orange/Mango Pomegranate/Passion Fruit Euphoric Energy offers you a natural, clean and refreshing taste that doesn't leave a medicinal aftertaste often associated with most energy drinks, that for some strange reason, all start to taste the same. Euphoric Energy has combined the classic fruits and flavors you have come to love throughout the years. New flavors and formulations are in the works so be watching for them soon. There are 6, 16 oz flavors. 24 cans to a case. Expiration on drinks is mid-late 2012.